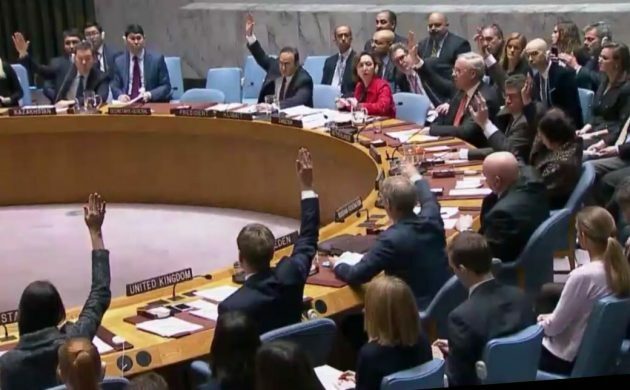 In the wake of the UN Security Council voting to enact a 30-day ceasefire in Syria, Denmark has urged the Human Rights Council to bring those responsible for violations and abuses in Syria to justice. The foreign affairs minister, Anders Samuelsen, declared the ceasefire to be a step in the right direction, but underlined that all countries had a responsibility to get the Syrian government to halt its bombardment and allow humanitarian aid. “Those persons committing acts of abuse must be held accountable for their actions. So Denmark is actively supporting the mechanisms under the UN and other organisations that work towards prosecuting the guilty parties, when the time comes. That’s something the world community must focus on,” said Samuelsen. Samuelsen mentioned Russia as a country that needed to stand up and be counted in the wake of escalating violence in Syria in recent weeks. In other news, the Danish government has revealed that it intends to step up its efforts to combat terrorism and irregular migration in the Sahel region in Africa. At a G5 meeting in Brussels last week, Denmark announced it was earmarking 99 million kroner over three years to regional peacekeeping and stabilisation efforts in the embattled region. The focus of the funding will be fighting organised crime, terrorism, boosting the justice sector and other initiatives that aim to support G5 efforts in the region. According to a new report from the Foreign Ministry, almost two-thirds of Danes support Danish development work. The report showed that 61 percent of Danes were behind their country’s humanitarian and development efforts, compared to 60 percent in 2016. The report also found that more Danes trust that the Danish development funds end up going to supporting reasonable purposes.